+ Cancelled this year due to an ice jam that created safety issues and left behind damage to the river bank area. We experience in our lives both the beauty and power of nature, God’s creation. In these events, we are reminded of the limits of our human abilities to control all, and our dependence on God. God does not inflict events or suffering on us, but rather we are called to closer relationship with Him in these times. In nature, we may be reminded of all of this, especially in the gift of human awareness of mysteries, things that are beyond our capacity to understand or explain. 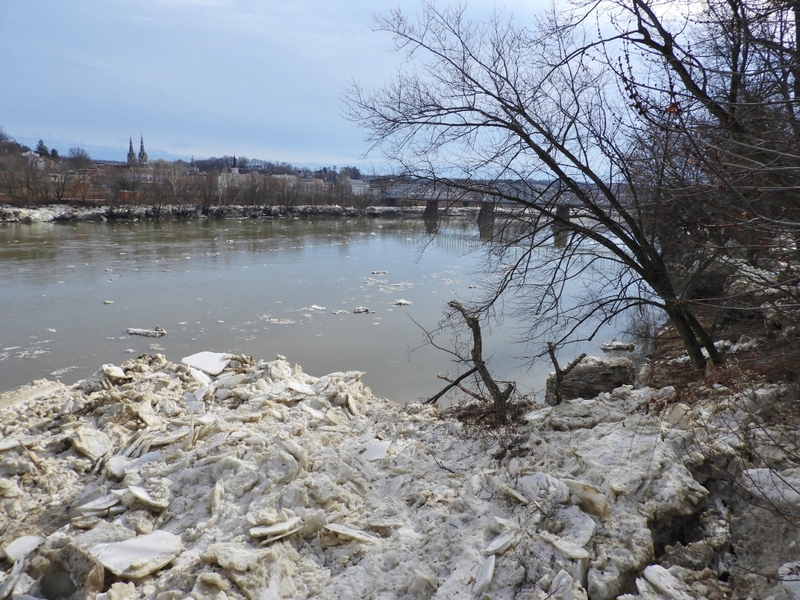 With the serious problem of an ice jam and potential flooding of the Susquehanna river only days prior to our scheduled river blessing, our concerns turned to our community and away from our goal of continuing with this event. 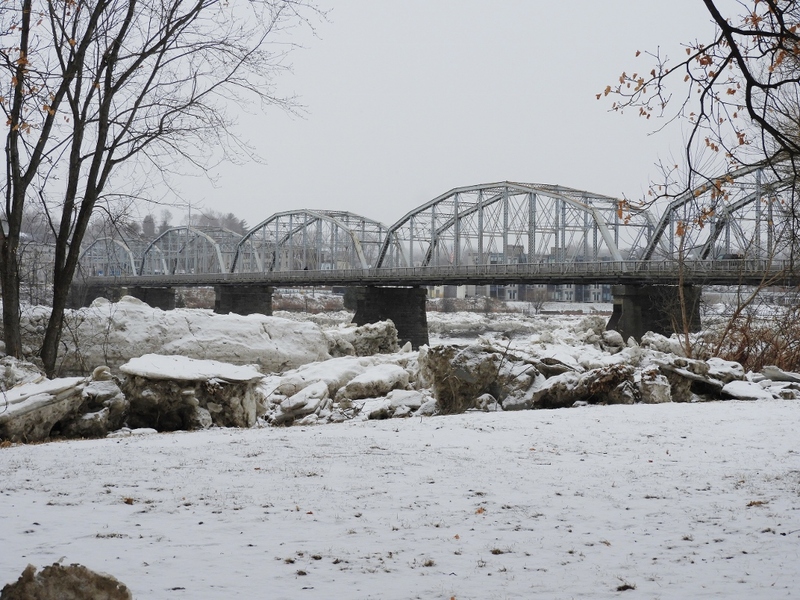 Even as the threats eased, the amount of ice in huge boulders and blocks left along the banks of the river and other factors made it far too dangerous to proceed. 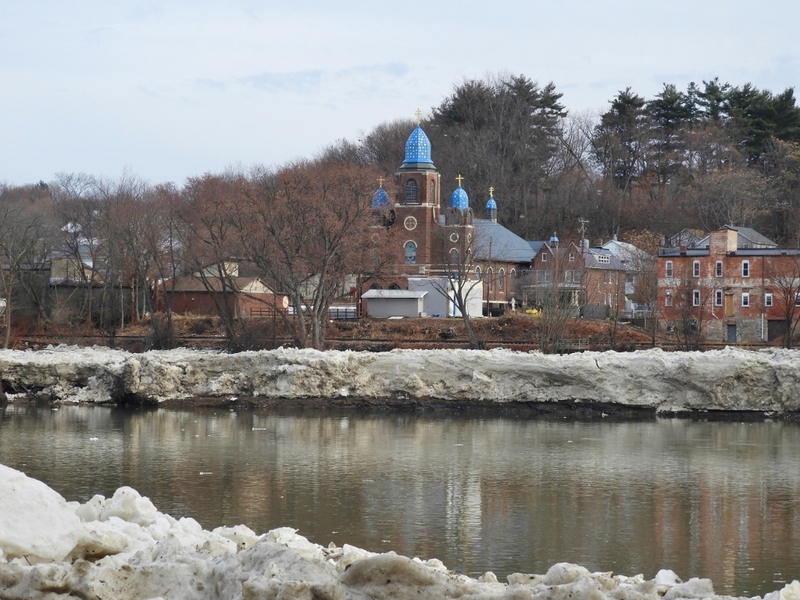 In response, our prayers and assistance must always turn to all those living along the river, many of whom include our friends and parishioners, and to everyone living in potential flood zones. River flooding and threats of flooding are very stressful events for communities in our area, and historically, for those who have experienced, witnessed, or lived the impact of each event. Our focus turns to prayer for all who are ever affected and for future protection of all. In every need such as this, we thank all who serve in emergency management, disaster relief and preparedness, law enforcement and all first responders, and public officials for the important assistance they give during this time. We thank also all volunteers and workers who serve in any other way to assist, including local media for their role in communication. Our focus is on prayer for everyone dealing with the aftermath of the ice jam or flooding and the anxiety that had been created by the threat of flooding. Photos (taken January 21, 2018 and January 28, 2018) in West Pittston, Pennsylvania. Unfortunately, conditions worsened on January 24. 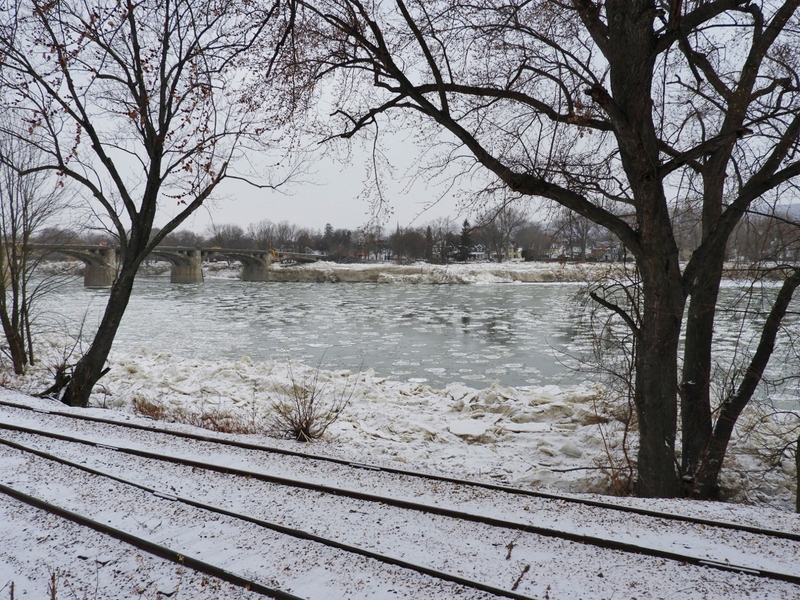 Enormous blocks of ice were left along the banks of the river after rising and then falling as the river receded. Damage occurred, but the majority of the area was spared. While there is a kind of beauty in nature seen in the photos below, there is also a need for the concerns of others and the damage such events leave behind. Click on any photo to view larger images. 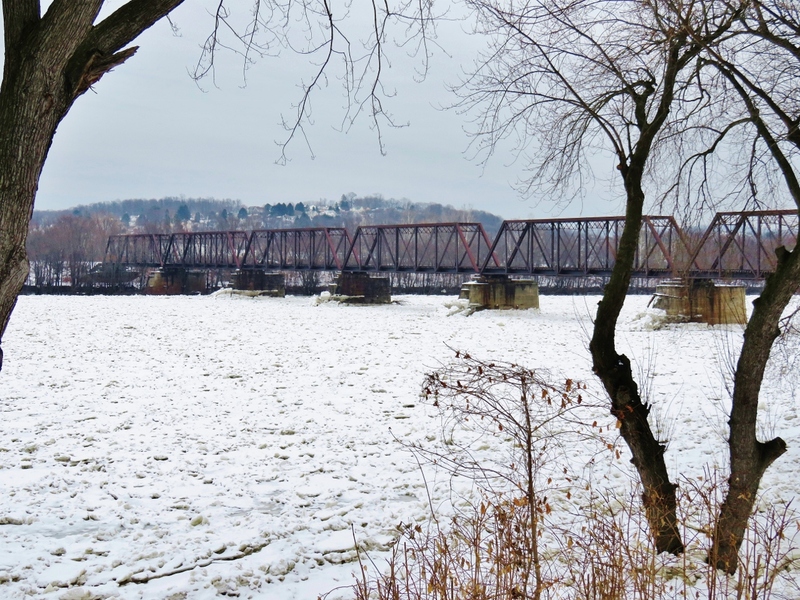 Railroad bridge seen from Susquehanna Avenue, West Pittston on January 21, 2018. 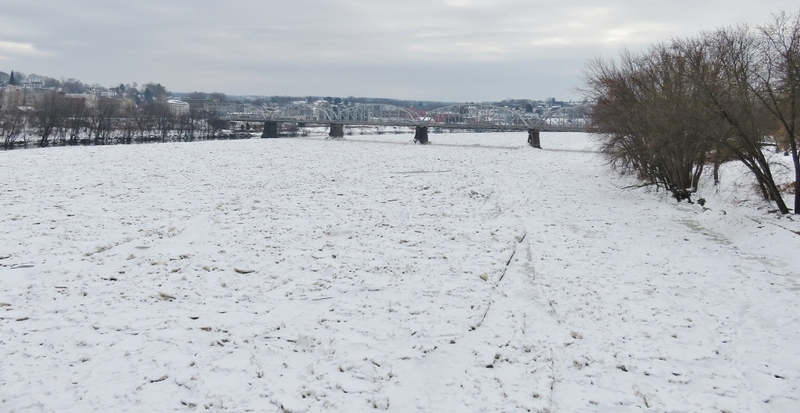 Historic amount of ice stretches across the Susquehanna river, Pittston, Pennsylvania, formed after several weeks of below average temperatures in the region. Firefighters’ Memorial (Water Street) bridge in the distance. 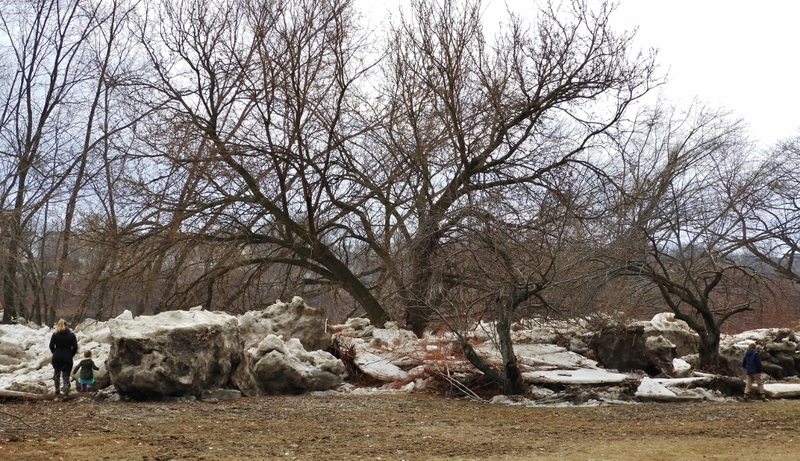 People stop in amazement on Jan 28, 2018 to witness massive ice boulders left behind after ice jam flow. West Pittston, Pennsylvania. 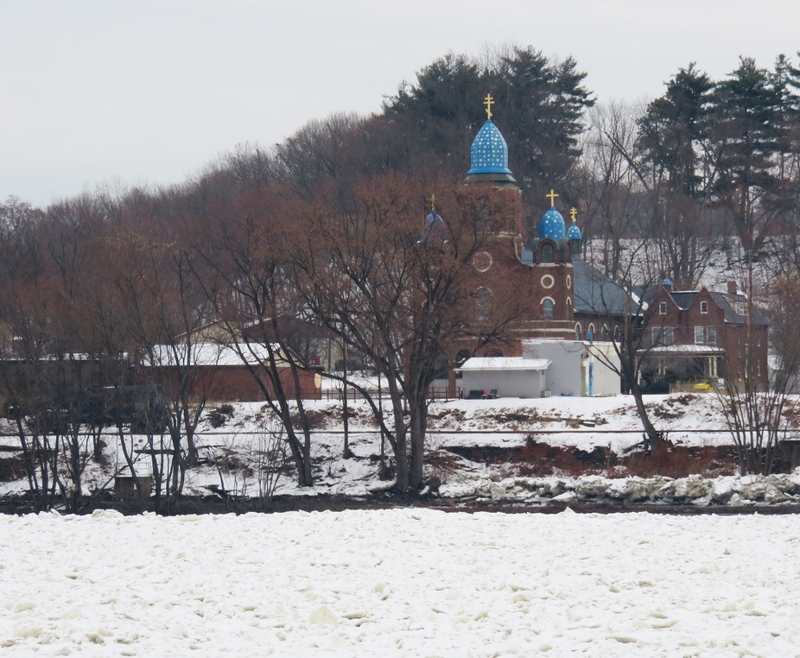 St. Michael the Archangel Byzantine Catholic Church in Pittston with ice cliffs along river bank. 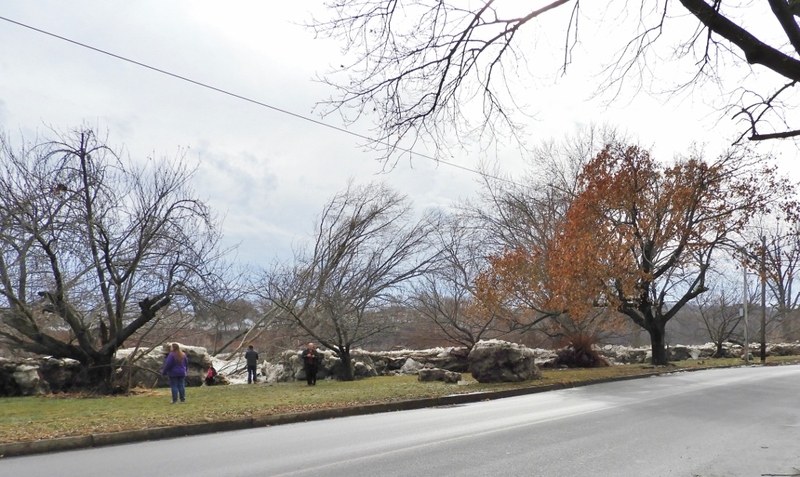 Ice boulders as tall as the people coming to see them. Ice remnants surround the West Pittston cherry blossom trees. 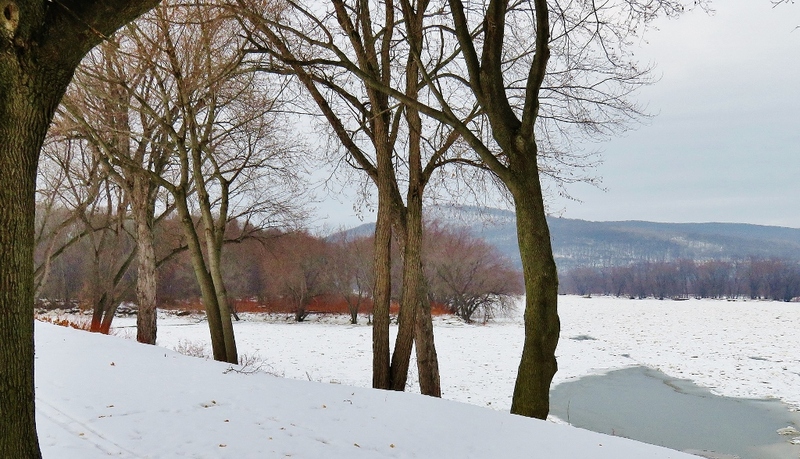 View of the Susquehanna River, West Pittston, from the Spc. 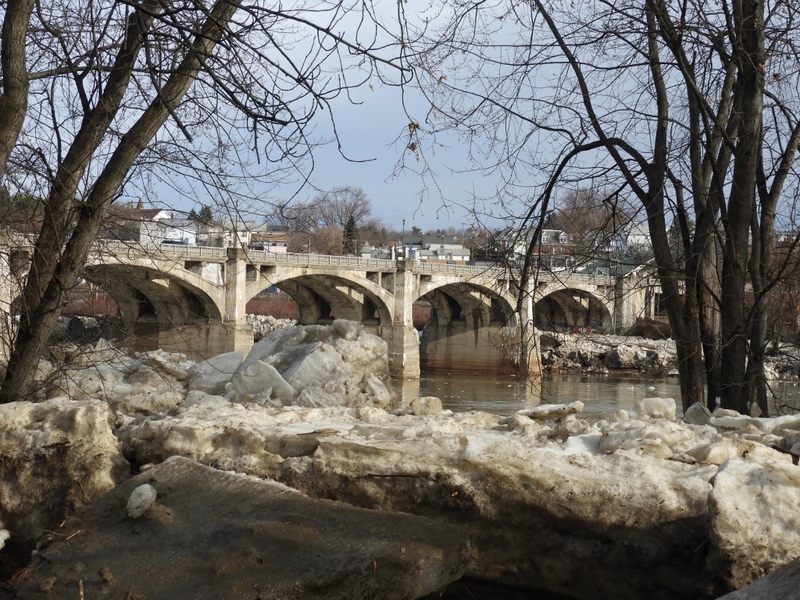 Dale Kridlo Bridge (Fort Jenkins bridge) looking south after ice on river moved downstream. St. John the Evangelist Church, Pittston, Pennsylvania (distant left). People walk among massive ice boulders along the river common in West Pittston, Pennsylvania. Boulders lifted and deposited with river level rising and falling Jan. 24-25, 2018. 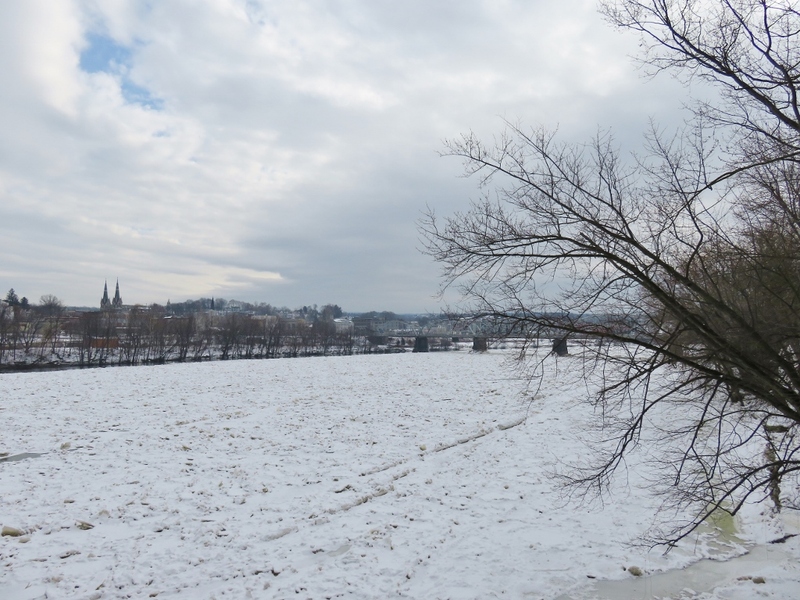 View from Pittston looking towards West Pittston, Pennsylvania, showing historic height of ice “cliff” along the banks. Powerful ice advancing down river collapsed full size trees on the river bank in West Pittston, Pennsylvania. St. Michael the Archangel Byzantine Catholic Church in distance as light snow begins to fall on Feb. 4, 2018. Firefighters’ Memorial (Water Street) Bridge, Greater Pittston landmark, with wall of ice blocks in view. The following are from our 2017 River Blessing. To see a photo slide show and learn about the tradition of river blessing CLICK HERE to the River Blessing Page on our site.